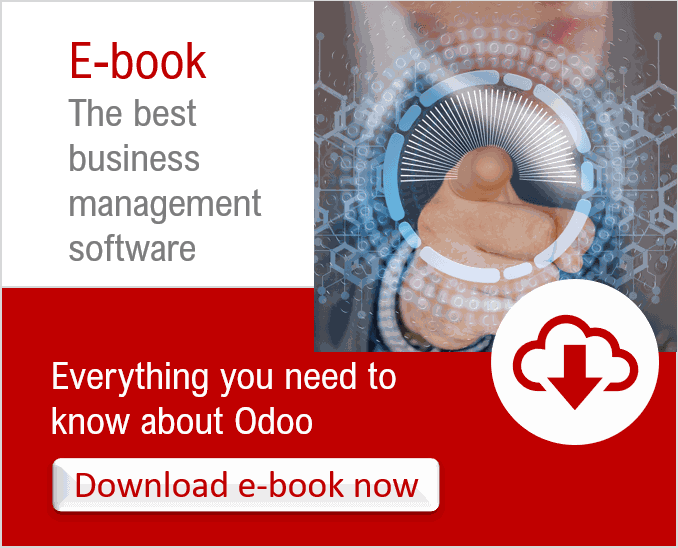 Odoo is a fully integrated business management software. Its main asset is its ability to adapt to all companies of all sizes and in all sectors of activity. Odoo offers many standard features that can be easily customized through the studio. In addition to the standard features, the Odoo app store provides Odoo users with thousands of additional applications to download. And if, despite the standard features and downloadable apps, not all user needs are covered, it is possible to develop new applications that can be integrated into the software. The objective of business management software is to increase the profitability and productivity of companies. To achieve this result, the software must correspond to the company's needs. With Odoo it is easy to customize the software so that the company can integrate all these processes and optimize them. The customization of the software is an essential step. With Odoo, it's not the company that adapts to the software, it's the other way around. Who to customize the software? Odoo has a service platform to support companies in the implementation of the software and also a large number of partners whose role is to support companies in the implementation of Odoo. The advantage of using an Odoo partner is that they can follow your project from the beginning and follow you over the long term for all software evolutions. In general, the Odoo partner also has the skills to install gateways with the existing information system if necessary. We have been Odoo partners and experts for many years and have supported many companies in the implementation of Odoo.